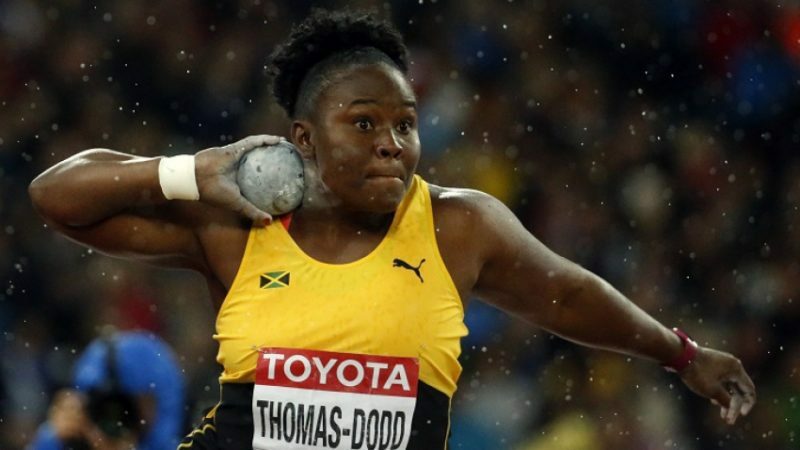 It turned out to be a brilliant battle as world indoor silver medallist Danniel Thomas-Dodd broke the Jamaican record with a throw of 19.36m to get gold ahead of New Zealand’s Valerie Adams, who was making her major return to competition after the birth of her first child, daughter Kimoana, just six months ago. Adams threw 18.70m to add another silver to a Commonwealth medal haul which already included three golds from 2006, 2010 and 2014, plus a silver from 2002. Canada’s Brittany Crew claimed bronze with 18.32m, while Sophie McKinna was the top-placed English thrower as she recorded a 17.76m PB for fifth, one place ahead of Rachel Wallader with 17.48m, while Amelia Strickler was ninth with 16.78m. McKinna’s mark is the best by a British woman since 2000 and moves her to fifth on the UK all-time list. Also in the field, Canada’s Alysha Newman improved the pole vault Games record to 4.75m to win the title ahead of New Zealand’s Eliza McCartney (4.70m) and Australia’s Nina Kennedy (4.60m), as England’s Holly Bradshaw also cleared the bronze medal-winning height but missed out on a podium place on count back. The evening’s final event was the women’s 100m hurdles, which was missing Australian favourite Sally Pearson through injury. Nigeria’s Tobi Amusan came close to the Games record of 12.65 with 12.68 for the win ahead of Jamaica’s Danielle Williams (12.78) and Yanique Thompson (12.97) as England’s Tiffany Porter was sixth in 13.12 and Alicia Barrett eighth in 13.64.